This is the oldest in East Africa, and perhaps the best, rooted in an ethnographic collection first exhibited in 1905 in a small Greek Temple near Laggard’s Fort on Old Kampala Hill. 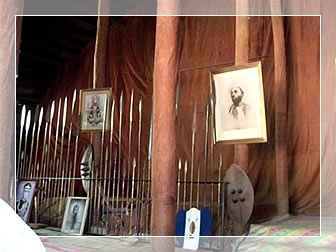 Formally established in 1908, the museum was initially known by the local Baganda as Enyumba ya Mayembe (House of Fetishes) and its exhibits were believed to bestow supernatural powers on the colonial administration. In 1954, the museum relocated to its present site on Kira Road. For those with an interest in pre-colonial African history, there are stimulating displays on the Nakayima Tree, Ntusi and Bigo bya Mugenyi, as well as other aspects of Ugandan History. 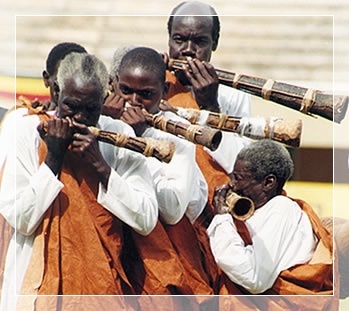 Of more general interest is a fantastic collection of traditional musical instruments from all over the continent, and the ethnographic gallery, which houses a variety of exhibits relating to traditional Ugandan lifestyles. On foot or in a private vehicle, follow Kampala/ Bombo Road north out of the city centre, turning right at the traffic lights at Wandegeya into Hajji Kasule Road, crossing straight across another roundabout after 400m into Kiira Road. The museum is clearly signposted to the right, 600m past this roundabout. Minibuses between the new taxi park and Kamwokya will drop passengers roughly opposite the museum entrance, and can be picked up at Taxi ranks along Kampala/Bombo road north of the junction with Burton Road. The Uganda Society Library in the main museum building has a comprehensive collection of published works relating to Uganda.